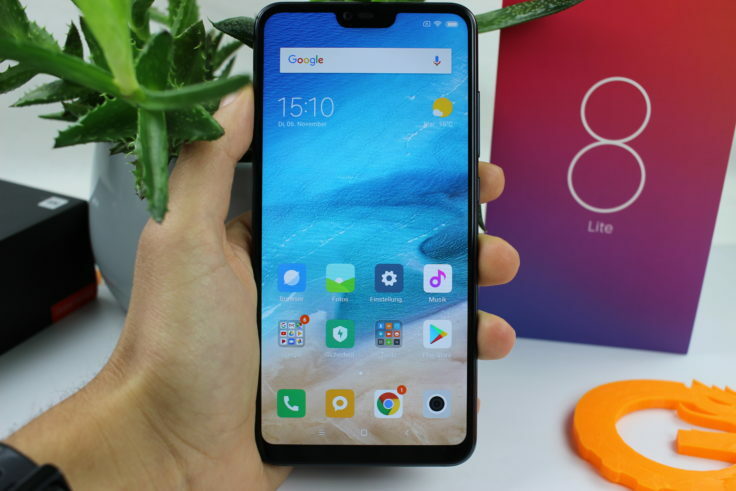 Xiaomi Mi 8 Lite officially introduced - did they copy Honor? Whenever you think that there is no more room in Xiaomi’s smartphone portfolio, the Chinese surprise us again. Now the next high-end smartphone has found its way to us. Like almost every Xiaomi smartphone, it combines the features of different devices. 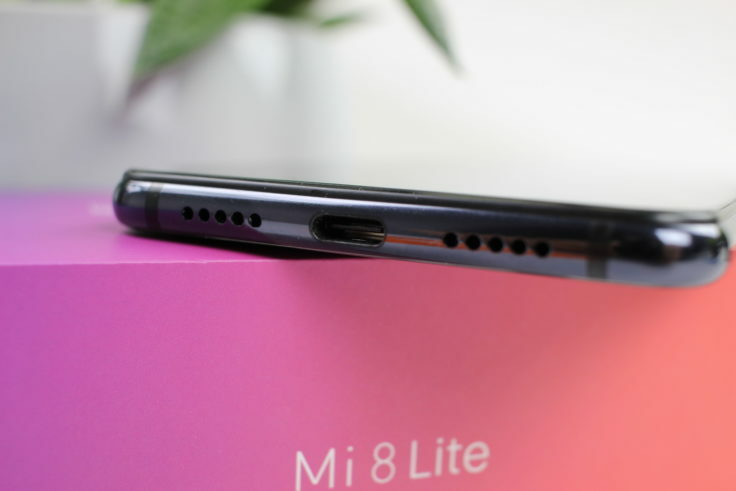 Is this just a reissue of the Mi 6X for Europe this time, or does the Xiaomi Mi 8 Lite deserve more attention than we first suspected? 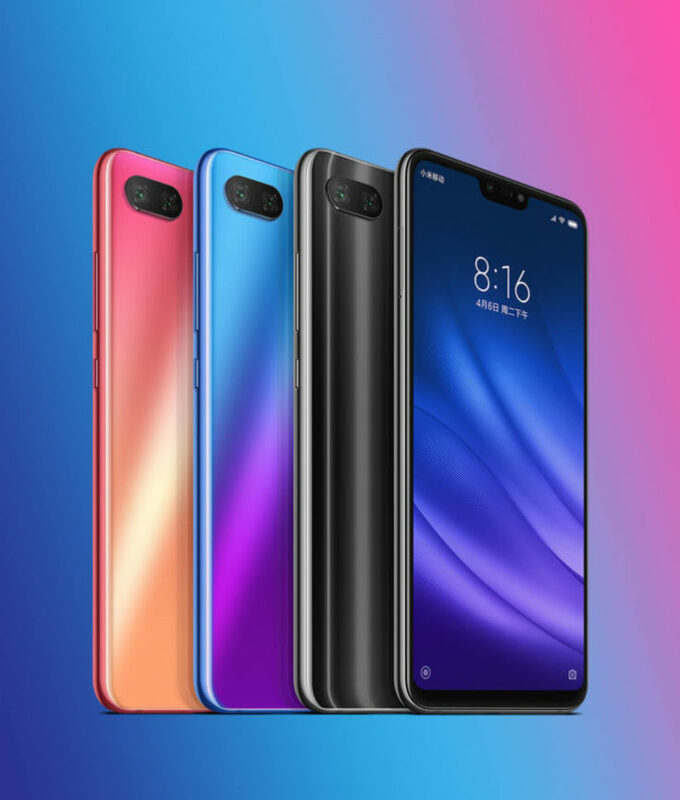 With the Xiaomi Mi 8 Lite, Xiaomi introduces two new colour variants, which is also noticeable in the new packaging. Instead of the typical white Xiaomi box or the orange box of the Redmi devices, the manufacturer delivers the smartphone in a very colorful box. This box contains the Mi 8 Lite, a transparent case, the EU charger, a 1m USB type C cable in white, a SIM needle, the USB type C to 3.5 mm adapter, operating instructions and the warranty card. 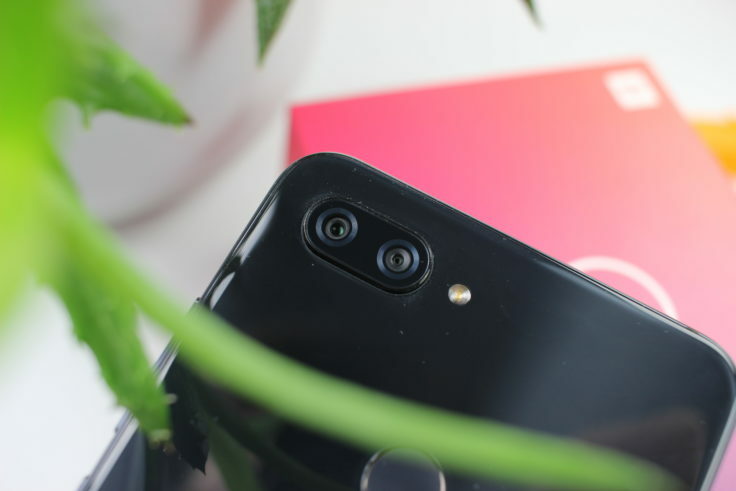 The Xiaomi Mi 8 Lite (originally “Youth Edition”) offers some optical features we already know from Xiaomi. However, this model also looks in the direction of the competition from Huawei and especially Honor and adjusts the optics a bit. All colour variants of the Xiaomi Mi 8 Lite at a glance. Since this is the Lite version of the in-house flagship, the comparison is very obvious. At first glance, the basic design is very similar, but there are still a few small differences. With a diagonal of 6.26 inches, the display is slightly larger than that of the Xiaomi Mi 8, which also affects the case size. The (still) polarizing Notch is significantly smaller than its big brother, but also accommodates less technology. A clearly visible edge runs alongside the display and the lower edge of the screen is also clearly visible. Nevertheless, the screen edge can still be described as “thin”. This is reflected in the dimensions of 156,4 × 75,8 × 7,5 mm. The glass back shows that one wants to do justice to the title “Youth Edition”. 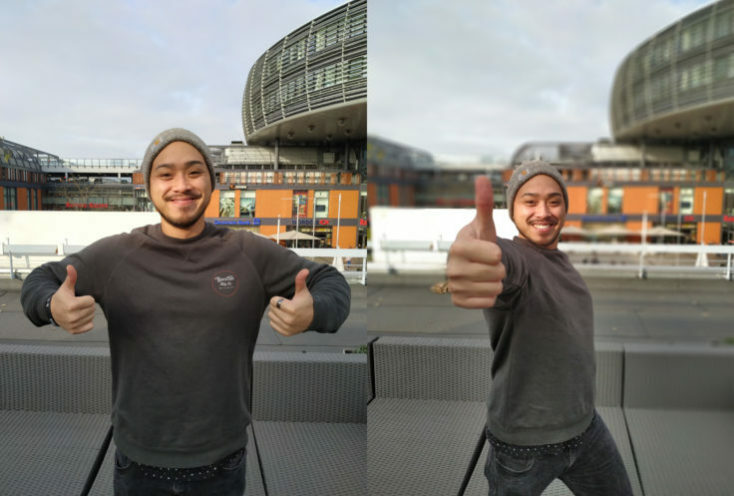 The Twilight effect known from Huawei is also used here, which in this case, for example, leads to a colour change between Rose, Pink and Orange. In addition there is a blue-purple Colorway, which reminds us very much of Honor 10. Unfortunately, we have to do without it with our test device, as the Midnight-Black variant does not need such an effect. But the back also differs in the shape from the Mi 8, as the glass is not bent towards the sides and thus looks rather “flatter”. On the other hand, Xiaomi bulges the case frame more than the Mi 8 or Pocophone F1, so that it also fits well in your hands. This is also due to the 168.5 g total weight, which means that it has almost 20 g less weight on its ribs than the Poco. Despite the name suffix “Lite”, you don’t have to do without Xiaomi’s excellent workmanship, which also gives this Mi 8 version an exemplary feel. That didn’t work so well, at least with our test product, the Mi 8 SE. The back is very susceptible to fingerprints. We don’t quite understand why Xiaomi doesn’t simply have a 6.21 inch display like in the Mi 8. Yes, with 6.26 inches the display of the Mi 8 Lite is bigger, but only 0.05 inches, i.e. 1.27 mm. Maybe it’s because of the display technology, because in the Mi 8 Lite you get “only” an IPS LC display and no AMOLED as in the flagship. Xiaomi proves that this isn’t necessarily a disadvantage with the good IPS panels they use. Also the Xiaomi Mi 8 Lite is no exception and the screen is convincing overall. The brightness of the panel is satisfactory at medium setting, the necessary sharpness is also not lacking and the contrast ratio is good despite the IPS display in my eyes. Also the blink angle stability speaks for the used panel. The responsiveness is as usual very good and that it supports multitouch up to 10 fingers is good, but really the expected standard. The glass pane seems to be somewhat susceptible to grease fingers, but this is only a subjective impression. I think we are dealing with the same display panel as in a Xiaomi Mi A2 or Pocophone F1. It’s good, no more and no less. I usually like AMOLEDs a bit better, but in practice they should at least show some serious differences. Even though you might be a little annoyed by the sheer variety of smartphones, a glance at the specs almost makes you forget. As processor Xiaomi now uses the Snapdragon 660, and not the 710, as first assumed. This CPU seems to become the new Snapdragon 625, after all it is used in many smartphones and tablets of the manufacturer. And that’s good news, because the Octa Core with 8 Kryo 260 cores, four of which clock at 2.2 GHz and four at 1.6 GHz, is a powerhouse. And we know this CPU and were able to estimate the quality well in advance. This was also proven in the test. MIUI is well tuned to this hardware and allows a very smooth operation. Opening and closing apps works wonderfully, games are also no problem, whereby you have to be content with medium graphic settings for blockbuster titles like PUBG. If you don’t need top hardware, this processor is really a good choice for you and you shouldn’t notice any performance problems in everyday life. This is also proven by the benchmark results. 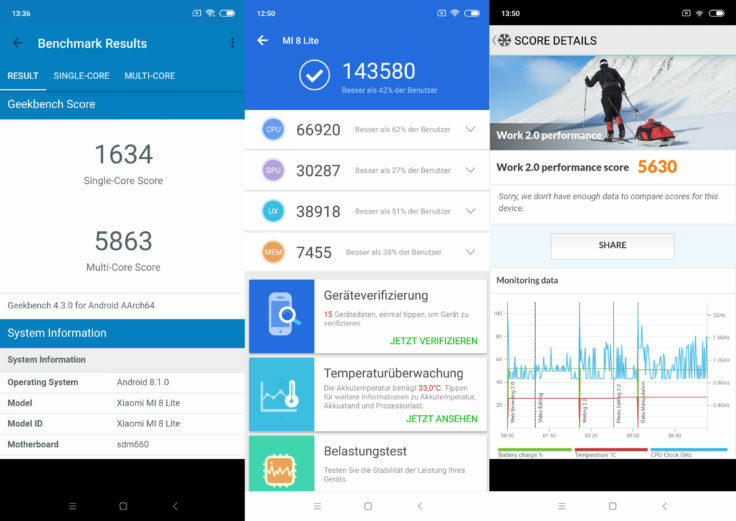 The AnTuTu benchmark and the Geekbench benchmark are clearly better than the Xiaomi Mi A2. Only in the PC Mark Benchmark the Mi 8 Lite has to admit defeat. Especially the multi-score in the Geekbench benchmark is much stronger. This is the proof for the previous statement that Xiaomi simply understands this CPU and was able to optimize its operating system on it. But it’s also worth looking at the Mi 6X with the same OS, because here too the Lite version of the Mi 8 is stronger overall. In spite of Notch (left) games like Tekken really make a fuss on the mobile phone! Somewhat unexpected was the fact that you can expand the internal memory with a microSD card. The only “important” consideration is the RAM. Because the 64 GB version gets 4 GB RAM and the larger 128 GB version even gets 6 GB RAM. The RAM is LPDDR4X, but the internal memory is “only” eMMC and not the faster UFS 2.1 standard. One of the biggest criticisms of the Xiaomi Mi A2 and Mi 6X was the relatively short battery life. In order to realize the thin design, Xiaomi had to install a smaller battery. That’s what the Xiaomi Mi 8 Lite takes up and can at least offer a battery capacity of 3,350 mAh, which is a pretty good average value. The manufacturer’s own operating system also manages to get the maximum battery life out of this battery. Because with a screen-on time of over 9 hours we have a good result here. You can definitely make do with that for one day, but even one and a half days should be possible. Of course you have to admit defeat against a Xiaomi Redmi Note 5 or even Pocophone F1. The battery is also rechargeable with Quick Charge 3.0, which guarantees a fast charging time and you never have to get along without your smartphone for long. The only catch: Xiaomi “only” comes with a 5V 2A charger. That means, if you want to use Quick Charge, you have to buy a charger yourself. With the included charger, charging from 20% to 100% takes about an hour and 30 minutes. 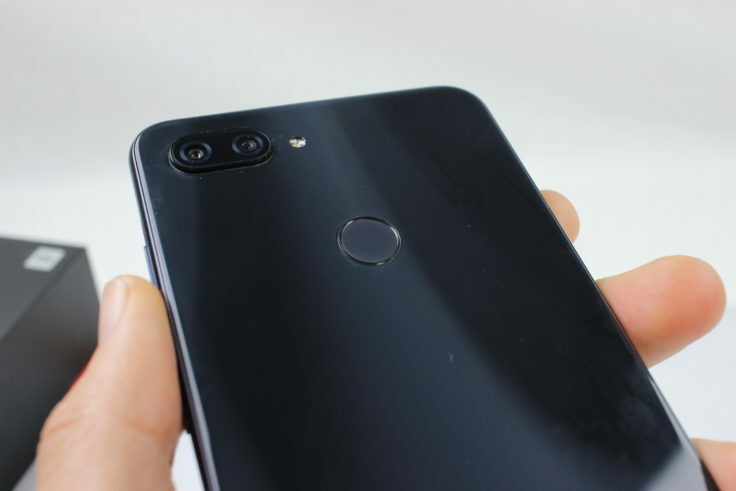 Flagship camera without flagship software? The first look at the Specs made me hope: “The camera plays right at the top”. The Sony IMX363 12 Megapixel sensor with ƒ/1.9 aperture and the SAMSUNG S5K5E8 5 Megapixel sensor are combined on the back. After all, the Sony IMX363 is the same sensor as its big brother, the Mi 8, and the Xiaomi Mi Mix 3, which has positioned itself strongly in the DxO benchmark. We also saw this combination in the Xiaomi Mi 8 SE. The only change: the arrangement of the sensors is now horizontal again. Accordingly, the camera should also be as good as the one from the Mi 8 SE. And it is, at least almost. I like the speed of the shutter release and also the autofocus, here you usually get even scenes with movement sharp (see table tennis photo). The camera also takes good photos when shooting indoors, even if you notice that the shutter speed is slower. All in all, I also failed to notice that, as with the SE, the photos tend to be somewhat underexposed. But in general I like the colors, even if skin tones in my eyes aren’t hit quite optimally. This means in the end that I don’t believe that the Mi 8 Lite doesn’t participate in the same software optimizations as your own top models. As with the 8 SE, there is a class difference. This is also noticeable, for example, in the portrait mode, which works well overall. 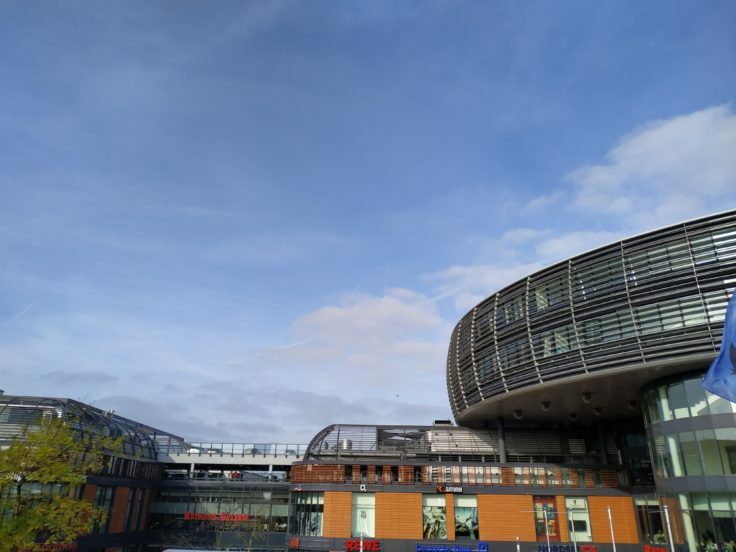 The smaller 5 megapixel sensor, in contrast to the Mi 8, doesn’t get as much image information and the bokeh doesn’t look that natural. Nevertheless, in my opinion, you are playing in a higher league here than, for example, Honor Play. For my taste, there is a bit too much noise in the picture, but only after closer examination. This could also be criticized in the videos, but I think they are really very good for this price range. Especially the stabilized Full HD shots at 1080p are really impressive, but also the 240fps slow motion shots are fun, even if you have to be satisfied with 720p. However, the soundtrack is a little off, but this is not visible on the smartphone itself and only seems to be an export error. If you value Selfies a lot, the Xiaomi Mi 8 Lite is the right address for you. Here you can see the focus on the younger target group, which probably absorbs more Selfies than the older generation. The Sony IMX576 sensor accommodates 24 megapixels and takes really good photos. 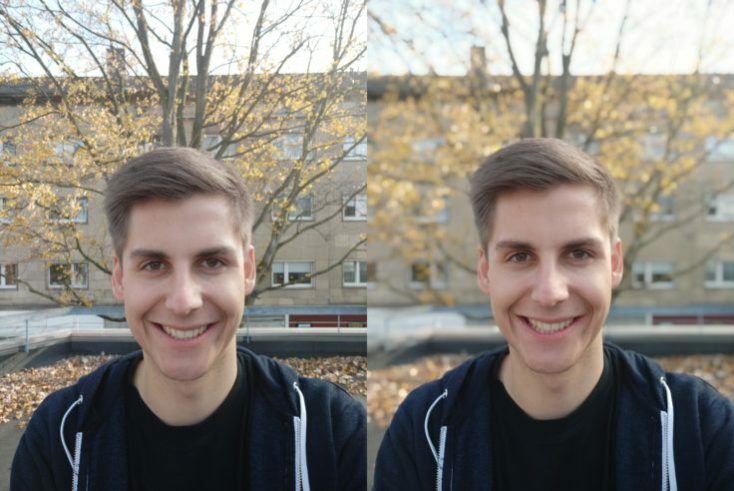 Both in normal mode and in portrait mode. Also the AI scene recognition is integrated here, but for me this technology doesn’t (yet) bring the big advantage. But you notice that the sensor size with 1.8μm is relatively large and you can take better low-light pictures accordingly. Since our test device is the Global Version, we have almost all the connectivity you need. That means: LTE Band 20, but also Band 1/2/3/4/5/7/8 are on board. There is also Dual Band 802.11a/b/g/n/ac WLAN, Bluetooth 5.0, GPS, A-GPS, Beidou and GLONASS. On a physical level we have to get by with a hybrid SIM slot. This gives us the possibility to manage either two SIM cards or one SIM card plus microSD card. In the test we could not find any problems in this respect. Mobile Internet worked as fast as usual in the D1 network and the corresponding telephone quality is also given. During the conversation my counterpart could always understand me well. The GPS fix succeeded outside within a second and the accuracy of 3 meters speaks for itself. In our offices it took longer, but after a few seconds we reached an accuracy of 9 meters. Those who want to pay with Google Pay in the future won’t get far with the Xiaomi Mi 8 Lite, as it does without NFC. An alternative with NFC would be Honor Play or the cheaper Nubia Z17 Lite. Otherwise you have to go for the more expensive Xiaomi models like the Mix 2S. In addition there is a USB Type-C slot. 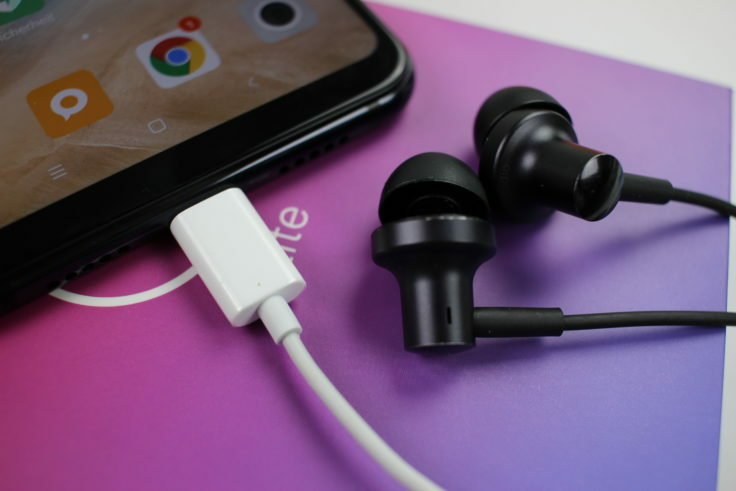 The adapter to the jack input is of course included in the scope of delivery, because the Mi 8 Lite doesn’t have its own jack connector. But with the adapter in combination with the Xiaomi Piston Pro 2 I couldn’t notice any quality losses. If you prefer listening to music via speakers, you can also do this easily with your smartphone. The mono speaker is surprisingly good, even if it doesn’t quite come close to Honor Play. The volume is quite high, the sound hardly distorted, even if there is a lack of clarity in the highs. Nevertheless, this is definitely a class above the Redmi Note 6 Pro or Mi A2 Lite. The biggest difference to the Xiaomi Mi A2 is probably the operating system. Because you entrust the Mi 8 Lite with your own MIUI operating system. Who doesn’t know it yet: MIUI is based on Android, but it is a strongly adapted user interface that deeply intervenes in the system – rightly so. Because this OS offers many advantages, a usually high battery life is only one of them. Anyone who already has a Xiaomi smartphone is most probably already familiar with it. The Mi 8 Lite currently (as of November 2018) still works with MIUI 9.6, based on Android 8.1. An update to MIUI 10 should be available soon. The last security patch is from the beginning of September, so it is relatively up-to-date. If you want to go at least in the optics somewhat in the direction of Pocophone, you can also download the Poco Launcher in the Google Play Store. Then you will also get an App Drawer, which is not available on delivery. Google Play Store and the most important Google services are of course available. MIUI also unfortunately means that a lot of additional software is pre-installed, but most things are practical apps. For example Mi Drop or the Mi Cloud, but unfortunately also apps from Microsoft like Word or Skype. Fortunately, they are easy to uninstall. It’s interesting, though, that apparently no Face Unlock is available in the Global version. Also the popular “put region on India” trick doesn’t work. That’s why you can only unlock your phone with the fingerprint sensor on the back. This works very well, as you would expect from Xiaomi, even though I feel that I have already tested faster sensors on the more expensive Xiaomi models. 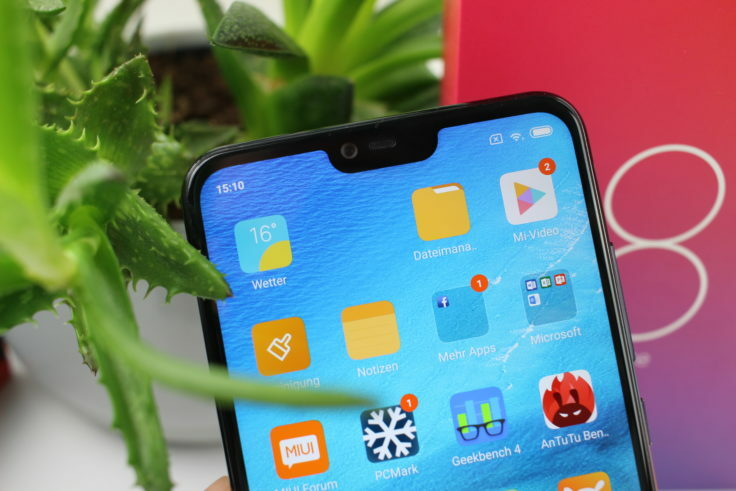 Admittedly, I wanted to ignore the Xiaomi Mi 8 Lite out of defiance (editor’s note: many Xiaomi smartphones lately) first. But I would have done wrong to this smartphone. 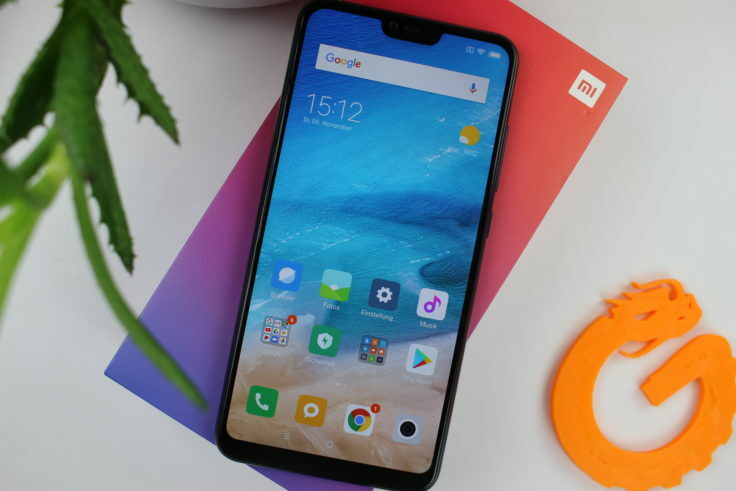 Because the bottom line is that the Xiaomi Mi 8 Lite is simply a good smartphone, especially for the price on offer. 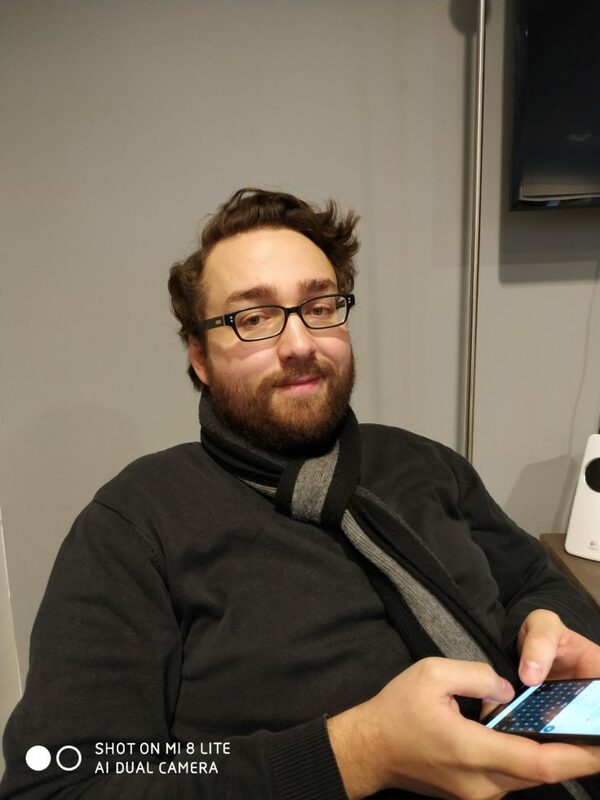 The performance is right and probably enough for 85% of all users, the camera produces quite nice pictures, the battery life is also very good, the haptics are right and you get almost everything you need in terms of connectivity. If you’re picky, you can criticize the missing headphone jack and the notch, but not much else in my eyes. It’s not a perfect smartphone and in no discipline the best on the market. But it hardly does anything wrong, there is still room for improvement in every aspect. If you have more money at your disposal, then go for the Pocophone F1. But in direct comparison to the Xiaomi Mi A2, the Mi 8 Lite is clearly ahead in my eyes. This closes the gap between Redmi Note 6 Pro and Pocophone F1. If you still have questions, suggestions or criticism, please write it in the comment area. And what do you think of the Mi 8 Lite?